Thank you to everyone who entered our 'favourite papers' challenge. Remember they sell much much more than just dies. including ribbons, pens, flowers and other embellishments. your Favourite 3 Embellishments & Why. You MUST explain WHY they are your favourites. (I'm definitely not a C&S kind of gal!). My favourite embellies are mulberry flowers, pearls and ribbons because they're pretty and girlie, and I love the texture they add. (although this time I've used vintage style matt ribbon instead of my usual satin ribbon). I have withdrawal symptoms if I don't use these embellies on a design! Twine - I love the grungy feel to twine I love the way it looks on cards you can make it show up lots and you can play it now too! I love Pearls for the same reason they can be an understatement of the main feature and I think that using them as a small embellishment is a nice way to add texture without being over the top, the Paperclip with Washi tape is something I have recently got into and I love that it can be taken off the card and used as a page saver too! I love making my own paper Roses, have to have some Pearls and just love Velvet Ribbon. Definitely ribbon, pearls and butterflies, I just can't resist them. Ribbons, flowers (any sort!!) 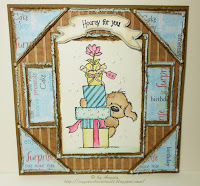 and die cuts do it for me!! 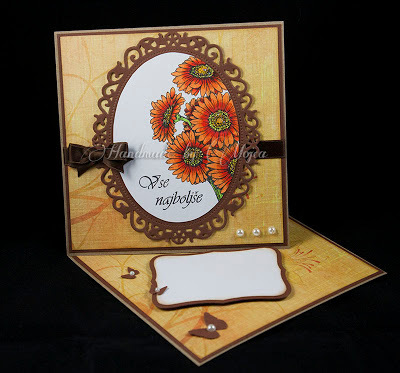 showcase your Favourite 3 Embellishments. What do you think of our new banner for this week (above)? As it's Father's day in the UK this weekend, we thought we'd have a male themed temporary badge and our talented Samantha has created this one for us to use this week!! Thank you to everyone who entered our Favourite Stamp challenge. 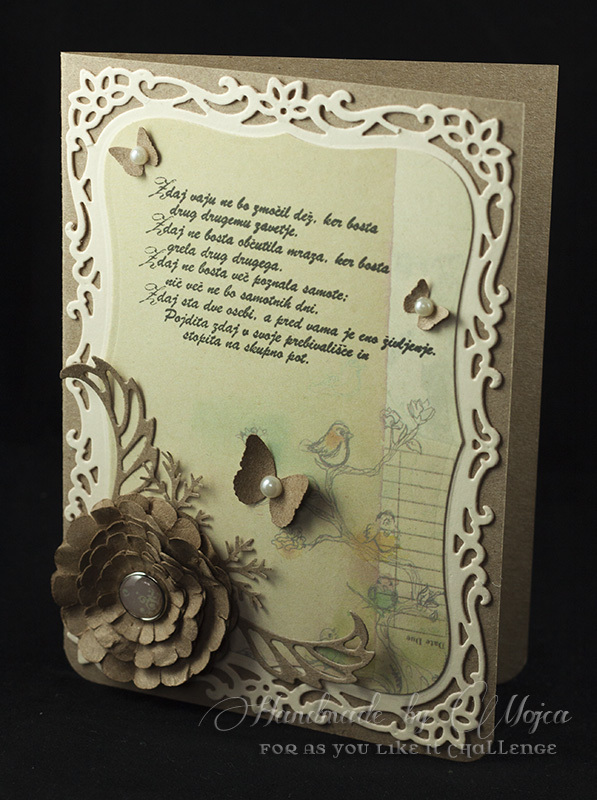 It was great to see all your lovely stamping projects. your Favourite Papers & Why. For many months, my favourite papers have been the Papermania Lucy Cromwell pad. 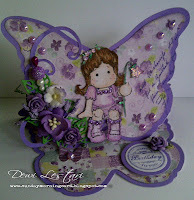 Each page is in one of my favourite colours; pink, aqua or purple, and most are either glittered or double sided. And you know how, in most paper pads, there are a couple of designs that you like less than the others ?? .... well in this set, I love them all. I've loved this pad so much that I've bought 2 of the 6" size, and then treated myself to a 12" pad recently too (to keep in reserve)! I've used the pink and aqua a lot recently, so today's choice is purple. It must be My Mind's Eye, have so many of them lol! Especially the more recent ones, all those pretty flower patterns but I also like the more boring ones as I can put my own stamp on them. My absolutely favourite papers are BasicGrey. They are so versatile and you can really use them for different occasions. 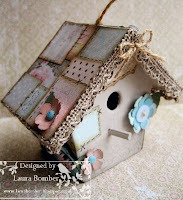 and why.....because of the pretty, ditsy prints and the beautiful colours. My favourite paper is K&Co, I have used them for many years and I just can't get enough, the texture the designs and the quality. 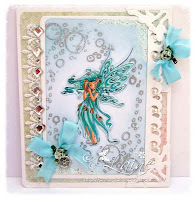 I also love cosmo cricket papers too so I have combined both on this card.